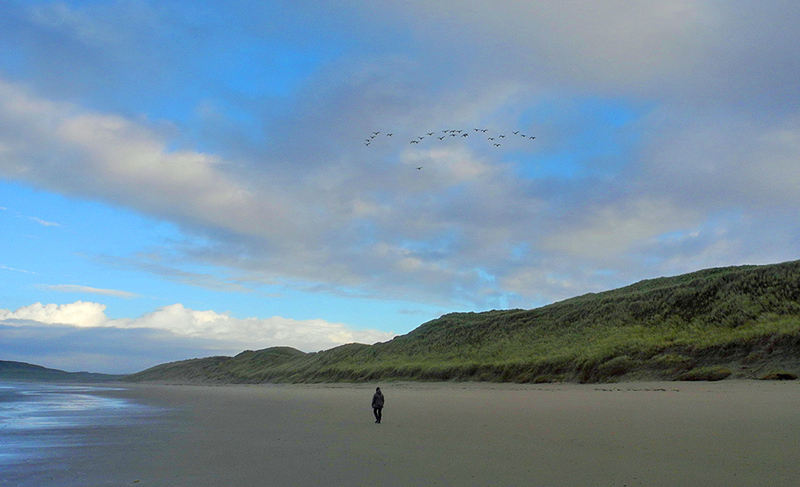 A November morning in Machir Bay, a lone walker on Kilchoman beach while a flock of Whooper Swans is passing high above. They typically don’t winter on Islay, they just pass through on their way to Ireland. Several hundred of them passed within a few days during my November visit. This entry was posted in Beaches, Cloudy Weather, Landscape, New Post, Sunny Weather, Wildlife and tagged Islay, Kilchoman, Machir Bay, Rhinns of Islay, Whooper Swans by Armin Grewe. Bookmark the permalink.